Ran an overnighter last night with Jimmy Campbell and friends. 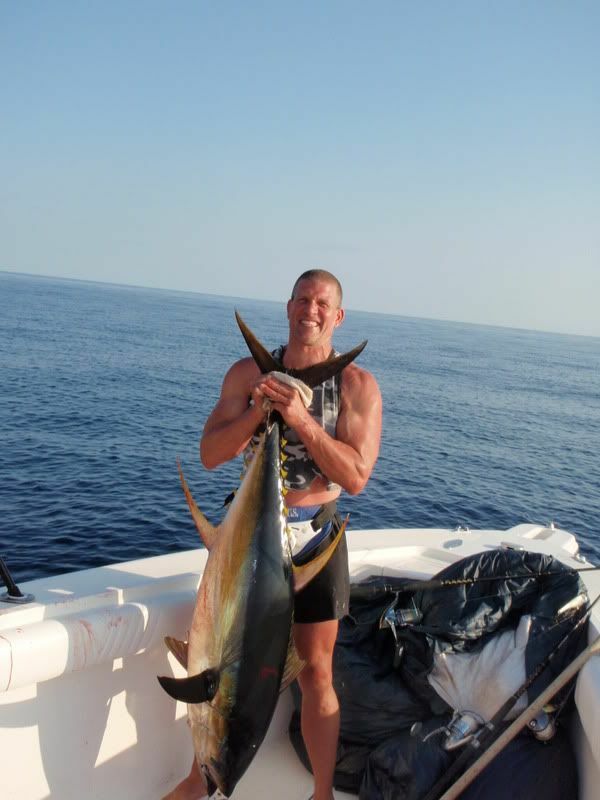 The goal was to get some yellowfin first and then finish off with a sword and sometimes things just work out right. The first two stops were bad with one undersized yf being caught on live bait in dirty water. We headed out to blue water and found some better action they werent interested in our livies so we started chunking with some skipjack and instant action. First drift was a 30 pound yf in the box and every drift after that was at least one if not two yfs bites until dark. 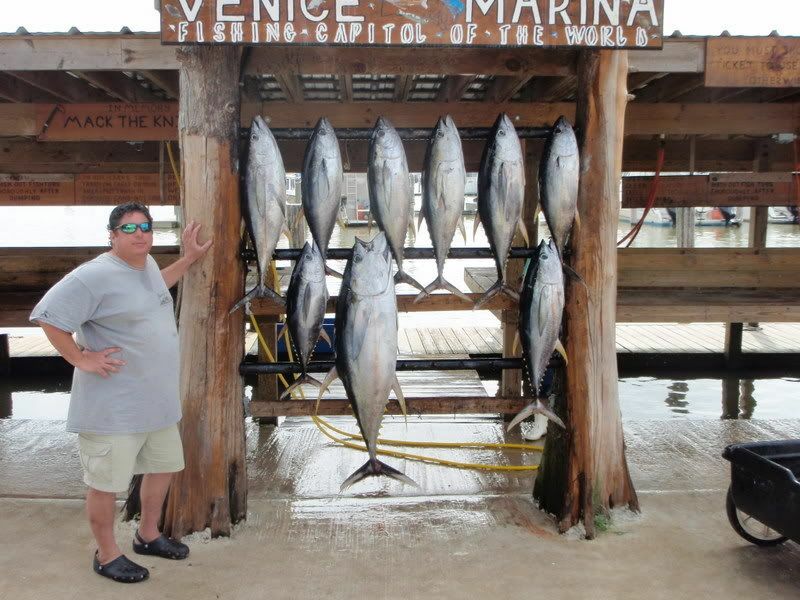 The fish were biting on 60 pound frenzy flouro and 6/0 circle hooks. The best bite we got turned into a 92 pound yf while the rest of the fish were in the 25-35 pound range. We quit at dark with nine yf in the box and several more lost. WE then headed inshore for some sword fishing. Jimmy had hooked up several times before on swords but they had always come unbuttoned. This time when we got a bite the fish wasnt so lucky. 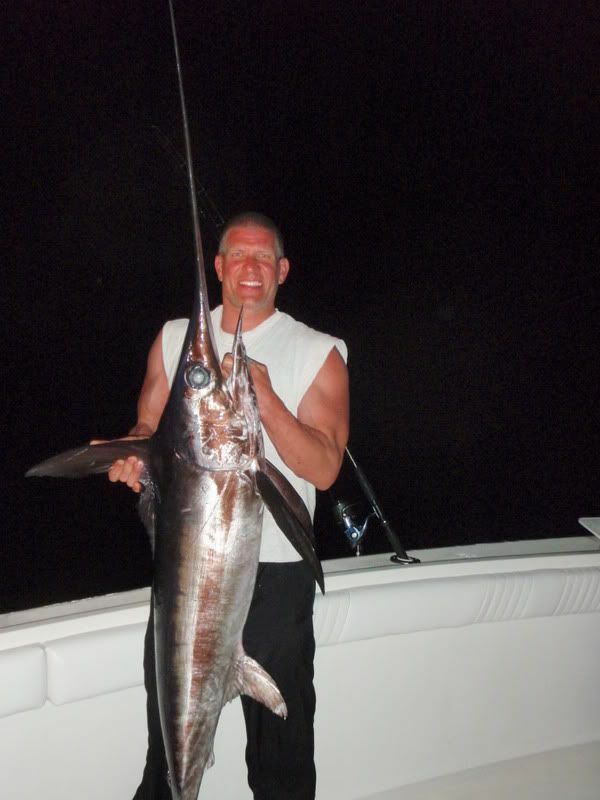 The hit came around 4 in the morning and after a 20 minute battle Jimmy boated a healthy 51 inch sword.